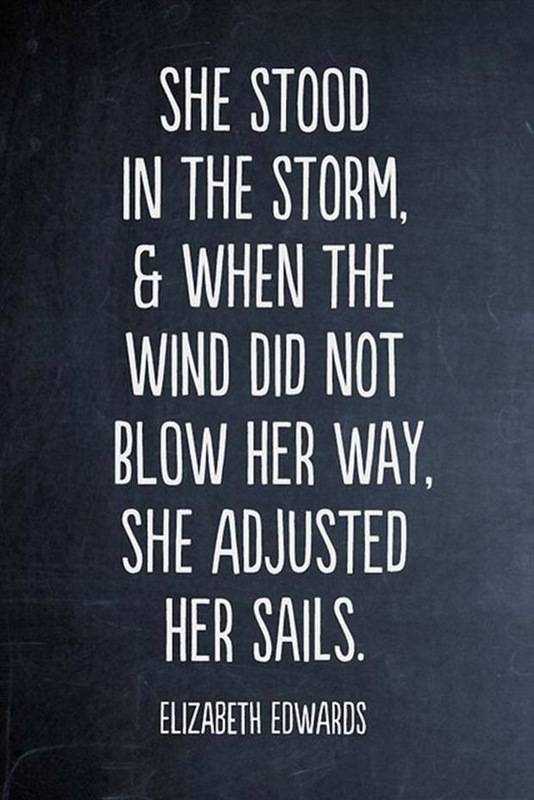 I’m adjusting my sails at this moment and will be back soon to start discussions, raise eyebrows and hopefully a little consciousness. Blessings to you all. I just got this update from my friend Michelle about Vinny. It’s an amazing story and a little hope goes a long way. If you are considering making a donation this holiday season, please consider donating to Michelle and Vinny. Every penny will be used for the purpose intended and you will be helping a local family continue to be a family. If I ever doubted there was someone/something above us I sure don’t today. I’ve been quiet, I’ve have so many things to do, and so many things to worry about. All the while trying to be by vinnys side. I have such a hard time leaving the hospital. When I do I get sick to my stomach, so it’s just not a good idea. Those of you who know me know that I was the same way when Oliver was born. Yesterday afternoon I was given some of the worst news imaginable. I was told my husband showed very little sign of brain activity, if any. The doctors decided to take him off the presidex and see if he could start to respond. It seemed bleak and I was beside myself. I’m so grateful for the friends who were there for me. It honestly never occurred to me that I would ever have to say goodbye. I stayed awake as long as I could but there was little change. There was a brain scan scheduled for the morning so I went to sleep. Well, sort of. When I woke up I went to vinny, I fixed his sheets, covered his feet, held his hand and started to fix his breathing tube. I was crying, and I said I love you, please just look at me, I need you to look at me. He turned his head, on his own, opened his eyes and started to cry. I had my husband back. The rest of the day I felt like I was in a dream. He cleared the brain activity test, got a new catheter for the dialysis, they started removing the excess fluids (130cc per hour) and they removed the restraints. He began to move his arms a little, he squeezed my hand, he nodded slightly when asked questions. His biggest complaint is the breathing tube. He hates it. The doctor said that if we can get his potassium to 4 and he continues to tolerate the removal of fluid he will get the tube removed possibly tomorrow. He will also be put on regular dialysis and not the slow machine he is currently on. The nurses continue to blow mind. The current nurse, patti, figured out that I have made her thanksgiving pies for the last 9 years! Not last year or this year of course due to the sudden closure, but hearing from a very happy customer really made my day. It also made me pretty sad. Thanksgiving was my second favorite holiday to bake for. Today was the best day of my life. My husband is going to live, he is going to walk out of that hospital and he is going to get his life back. We both are. Thank you all for the continued support. You are all amazing people. 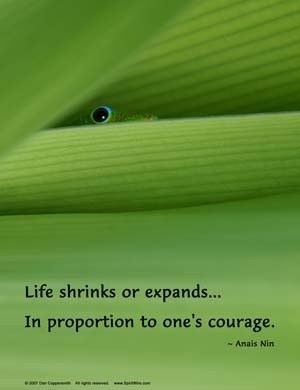 How courageous do you feel today? After a rough week I looked forward to my weekend at Crystal River Gifts. I got up on time, got everything together, ran an errand before I got on the road (CRG is over an hour away from my home.) And wouldn’t you know it – I get behind a pokey driver, one that is looking at everything on both sides of the road, weaving slightly back and forth as the driver and passenger point here and there. I look at the GPS, think that I want to get to the store as early as possible, and I start to pass the car and a little voice tells me, “Don’t. Just stay here.” So I follow for another minute and try to pass again. Same voice, “DON’T!” At that moment the car behind me pulls into the oncoming lane. A SUV pulls out of a driveway at a high speed, hits the car that just pulled out behind me, and the car flips. Cars on both sides stop to help and I was stuck waiting for the police to come and begin directing traffic. I pulled into the store 15 minutes later than anticipated but in one piece. Another friend had a similar experience earlier in the week. So what is the lesson here? Don’t trust your GPS because you don’t know what may happen? Yes, that could be one of the lessons learned. But more for me it was to LISTEN to that voice that is often pushed down. It isn’t always that immediate gratification (if you can call it that) but in retrospect that little voice has always been truthful. And when I haven’t listened I have paid the price. I’d like to hear from others about times when they did or didn’t listen to their inner voice. Chime in below. Second Sight Rose features conversation on metaphysical, paranormal and spiritual topics, products, and methods. It is not my intention nor is it my responsibility to make readers believe as I do but to allow open and respectful discussion on these topics. If you are here, I will assume that there is something that has found you and you are looking for a few answers of your own. Exploration of things unknown must balance healthy doses of belief and skepticism and ‘spirited’ discussions are welcomed here. Additionally there may be subjects and opinions posted that are not within your belief system. Please respect other posters and ultimately yourself. Trolls may or may not be mythical creatures but if you feel one taking over your keyboard, please note that there are no bridges or goats here. Back quietly away from your computer and take a break. And if you notice a troll has taken over someone’s keyboard, don’t feed it. Hopefully the brute will leave and go elsewhere to be fed. Take what works for you and leave the rest behind. Abusive postings will be deleted. Abusive posters will have posting privileges blocked and/or will be blocked from the page. If you do not believe in any of the subjects discussed, please review your intentions for visiting this page. I would rather not have you as a reader if the content upsets your gentle sensibilities. This is my blog and it’s chock full of my personal opinions and all the things that interest me. If you don’t like them or my approach to the subjects, Google will recommend thousands of other pages for you to peruse. Otherwise, sit back, enjoy and chime if you would like. There’s nothing better than a spirited discussion.